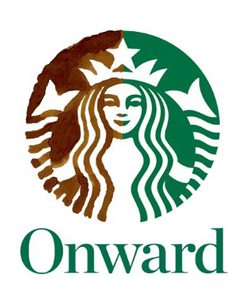 Howard Schultz is the CEO of this little coffee company called Starbucks. You may have heard of them . . I got to see him speak last night at Daniels College of Business, Voices of Experience Series and I wanted to share what I heard. He’s in the process of promoting his new book Onward and I assume he covered what’s in the book. (Haven’t read it yet.) The thing that stuck with me was his list of things that businesses need to be thinking about right now. The list itself is not surprising. The fact that is was coming from an enormous company, was. These things are very familiar – almost outdated for some small tech businesses – and it was good to here it coming from an organization of Starbucks size. I’ll list these in order of what he discussed. I’m obviously paraphrasing and I’ve been thinking about the the human capital line item for a while. Social media – “The train has left the station and it’s never coming back.” If you are not participating in social media (marketing) then you’re at a disadvantage. Small tech business has known this for several years. Social responsibility – As a business your actions are more impactful than individuals. Be sure that you’re acting in a responsible way. This is also a no-brainer. Human capital is “it” – If you still think that people are plug and play, you’re kidding yourself. All employees must add value to the equation. I’d like to talk about this last bullet. The majority of the US left the assembly line years ago but I still run into businesses that see their inner workings as an assembly line. The assembly line never worked for software companies. Anyone who’s coded knows that creating software is an organic endeavor, much closer to building an organism. (Queue up the “code is a commodity” vs. “code is poetry” argument.) I agree with Mr. Schultz that anyone who doesn’t add value in a real and tangible way, will be facing hard times in the very near future; even down to the local barista. I have several friends that lack drive and because of that one missing ingredient, they can’t seem to find a job. They’re 100% capable. They just don’t think about adding value. They’re looking for a job instead of thinking about how they add value to the company. I believe that many would like to think of themselves as a part of an assembly line. But even some of those that have worked on assembly lines, have made process improvement suggestions. Now, more than ever adding value is a must. The assembly line; real and metaphorical is dead. How is Tron Legacy like good social media?